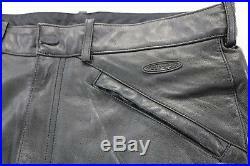 WELCOME TO PLUSH LEATHER UK. 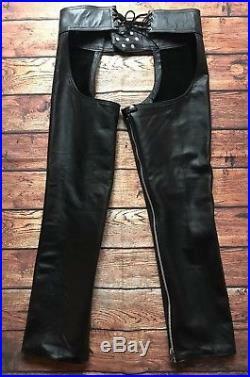 MEN’S VERY HOT 100% BLACK GENUINE LEATHER CHAPS WITH STRIP BLUF GAY AVAILABLE IN ALL SIZES. Front Buckle Belt fastening. Back Belt Laces Adjustable. Zips Throughout both inseams. Side Double Strip (Available in Black, Blue, Gray, Red, Green, Yellow, White). Black Silk lining inside. 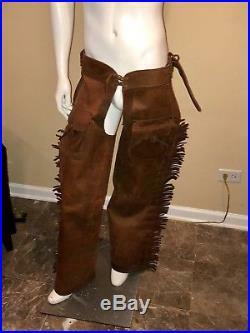 Made With 100% Genuine COWHIDE LEATHER…. 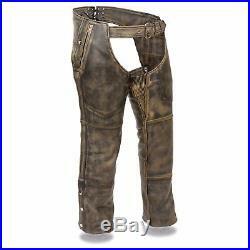 MEN’S LEATHER CHAPS / LEATHER BIKERS PANTS / GAY CHAPS. Made of fine quality Soft Cow Leather, Front Buckle Closure, One Peice Front Panel, Heavy duty YKK Zips inside leg full length, With Leather Breif , Adjustable back laces. Lined With Soft Fabric. Available Sizes are 28″ To 40″ Inches Waist Or Made To Measure….